E-voting detractors usually use any internal differences that might arise in a country, or political frictions coming with the adoption of electoral technology, to try to discredit its use. However, the reality is that automation is far from falling back or stagnating. In fact, it has expanded well beyond constitutional elections. Progress in technology has not only allowed Democracy to use multiple solutions designed to improve the processes entailed by an electoral event, but its versatility is also being utilized by the many organizations that must choose authorities, approve or reject initiatives, allow or halt grassroots proposals, or approve or object to draft legislations around the globe. 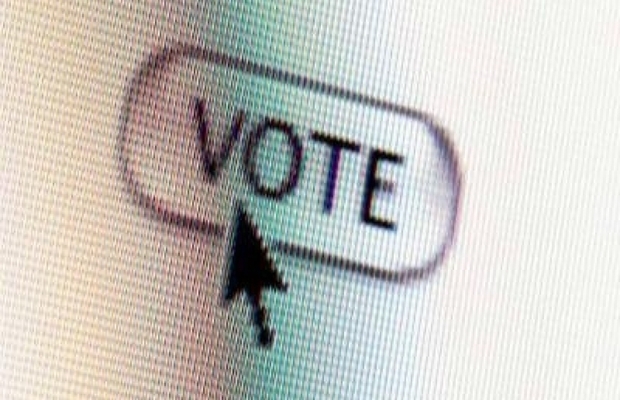 Thus, it is common nowadays for universities, professional guilds, political parties, grassroots associations, parliaments, city halls, or other kind of organizations to use e-voting to offer their voters the opportunity to interact with a voting system that can adapt to their needs and guarantee speed, security, transparency, and auditability. Within Latin America, countries like Argentina, Peru, the Dominican Republic, Ecuador, Colombia, Spain, and Venezuela have experimented with automated elections within student, political, or social organizations, replicating the successful results shown in traditional elections becoming automated around the world. These processes usually employ either of the two most widely used e-voting models: one is the Direct Recording Electronic (DRE) system, which consists in the use of touchscreen machines that enable voting, storing votes, aggregating them, and transmitting them to a computing center, as well as printing a physical vote receipt for each voter’s selection. The second alternative is called PCOS (Precinct-Count Optical Scan), which is based on the use of a ballot box with an optical scanner that identifies ballots and processes votes in order to count them automatically. The aforementioned examples are just a few of the areas where electoral technology can provide more specialized software and hardware for all the stages of a voting process. These and other globally renowned mechanisms have helped to tear down barriers and enable versatility to become an indisputable ally in the expansion of e-voting. 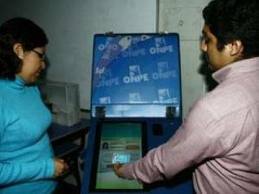 Peru’s ONPE designed a voting machine, and ithas been tested repeatedly. The recent events in Peru are a good example of how good news might not actually be so good. Although in the country it was announced that the use of e-voting, which was implemented for the first time in 2011, would be extended to seven districts for the next October 5 regional and municipal elections, the authorities have jeopardized the process by executing certain vital stages of the electoral process in the shadows. A simple Internet search on the elections reveals that the citizens have been poorly informed about the proceedings of the National Office for Electoral Processes (ONPE) in the organization of the event, especially in terms of automation. For example, the electoral body responded angrily to questionings about the guarantees of a tender process it had carried out, which led the country to find out that Scytl, a Spanish company, had been chosen for the development of the automated system’s software. ONPE reacted to accusations against the assignment of the contract to the Spanish company and against the tender process itself. The process allegedly lacked the minimum conditions to guarantee its outcome based solely on technical and electoral interests, as well as on the suitability of the company’s technology. At first, the tender process went practically incognito during its execution, which was against one of the requirements toward the acquisition of a transparent and efficient e-voting technology: to be done openly for the whole country to know and to allow as many companies as there are in the market to compete. In this case, the tender was called at the end of June and closed one month later, but it was only this week that the media were allowed to review its execution, and only because ONPE reacted to the accusations against the Spanish company. The process was so airtight that only one company (Scytl) bid to provide electoral software solutions for e-voting and/or security audits. In spite of this, ONPE approved the contract. The fact that the company’s Project Manager is Raúl Murga Fernández, who was the electoral body’s System Manager until May 2013, entailed an additional ethical risk. But not only the tender process is being questioned—Scytl itself is also under scrutiny. The company is currently undergoing a legal process in Ecuador, where the electoral body declared that Scytl breached its obligations, as the software designed for the digital reading of manual voting minutes failed. It was determined that the system’s errors had deterred the timely presentation of results. With this outlook, less than two months before the Peruvian elections, the country doesn’t know yet what will be the system that will be deployed in the 7 districts scheduled to use e-voting. Word has it that it is a mechanism called “network voting.” However, there is absolutely no information regarding its functionality. By ignoring and bypassing the accepted criteria for tender processes to comply with transparency standards, ONPE is putting its responsibility of delivering an automated system for optimum safe voting to the country under risk. After eight months of silence, Colombia reactivated the debate about the organization of an e-voting pilot test, an experience that could entail the true transformation of the country’s old and ill-reputed electoral system. The E-Voting Implementation Advisory Commission had not met since November 2013, but it resumed work a few days ago to decide where, when and which companies will participate in the event that will foster the use of electoral technology in the country. According to leaked information, the Commission agreed to set a timeline to call e-voting providers for a tender, and also to establish the requirements that these companies must comply with in order to bid. All decisions made from now on will seek to outline the path toward the selection of an e-voting model that represents the advantages of automation and that adapts to Colombia’s legal requirements and the specific characteristics of the Colombian suffrage. Accordingly, last year the Registrar’s Office made a summons which was answered by 16 companies, local and foreign, offering the two kinds of technology that Colombia intends to test out: PCOS (precinct-count optical scan), based on the use of a ballot box with an optical scanner for identifying ballots and processing votes in order to count them automatically), and direct recording electronic (DRE) technology, which consists of the use of touchscreen machines that enable casting, storing, aggregating, and transmitting votes to a computing center . These devices must also have the capacity to print physical vote receipts. 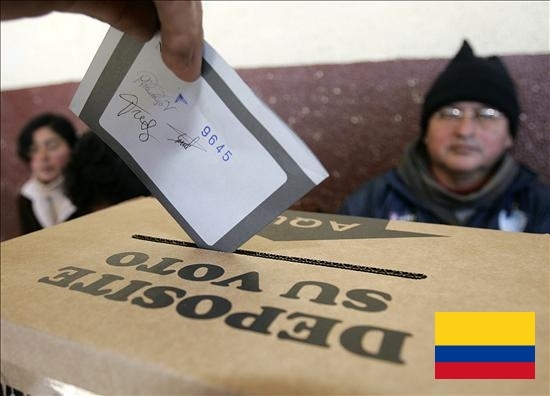 These are the companies that will compete to provide electoral technology in Colombia: Gerencia Ieconsultores, Smartmatic, Empresa de Telecomunicaciones de Popayán, Dominion Voting, Technology Supplier, Arolén, Sio, Avante International Technology e ID Systems, Scytl, Thomas Greg & Sons Limited (Guernsey), 3M, Colvista, Gestión Informática, Grupo ASD, DPS Data Processing & Systems, Voting Solutions Colombia, and Certicámara. Colombia has seen its quest to modernize suffrage halted several times. Let’s hope that this new impetus drives the country safely through the path to comply with the Law that enforces vote automation, and also to leave behind a system that has jeopardized the will of the people. Democracy needs it, and the country demands it.